Being named after a body of water doesn’t always mean they love it, but, in the case of the Chesapeake Bay Retriever, it usually does. This dog breed was originally bred to work as a gun dog in and around the Chesapeake Bay. They are strong, durable dogs with an oily, waterproof coat. They tend to love the water and have a high energy level, which makes swimming and other outdoor activities the perfect fit. In addition to making a good running partner, the light, bouncy English Setter usually also enjoys going for a swim. Although they were originally bred to be bird dogs, they are truly at home in the water. 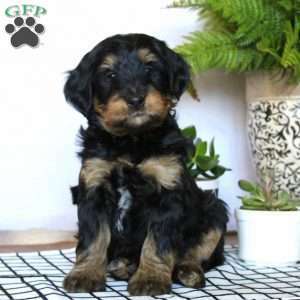 English Setters have a high activity level and love to be around their families. Going for a run or a swim with this dog breed can be a great bonding experience that also gives them the exercise they need to remain happy and healthy. The Labrador Retriever was originally bred to retrieve waterfowl. This often occurred in difficult situations or rough waters, so it was important for the Lab to be a good swimmer. 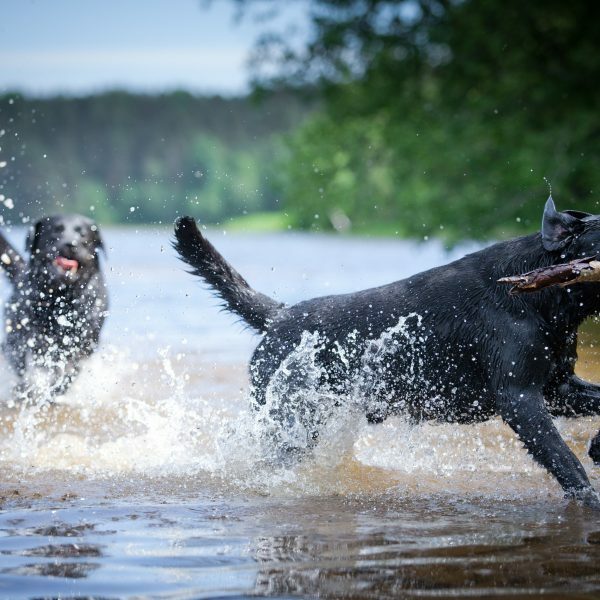 Labrador Retrievers make great running partners and are also excellent swimmers. Whether on land or in the water, they will be ecstatic to spend time with you being active. The Newfoundland is a gentle giant with a big heart. Newfies are known for being big, fluffy sweethearts. They also tend to love the water and are excellent swimmers. Originally bred to be a water rescue dog, the Newfy has a large lung capacity and plenty of endurance. These traits paired with natural lifesaving instincts meant a Newfoundland could swim long distances in order to reach a victim and bring them to safety. This dog breed is a working dog through and through whether they are on land or in the water. Plus, they make fantastic family companions. For the Portuguese Water Dog, it’s all in the name. This dog breed was originally developed to assist fishermen. They would often retrieve equipment that was lost overboard and would also sometimes herd fish into nets. Their webbed feet and dense coat make the “Portie” a fantastic swimmer with the energy and endurance to go the distance. These traits also make the Portuguese Water Dog a good running partner. This dog breed needs plenty of exercise to stay happy and healthy and they will enjoy going for a run with you or splashing in for a swim. The Standard Poodle may look like a high-maintenance priss, but they are actually a very athletic and sturdy dog breed. Before they gained their reputation as fashion icons, Poodles were used to retrieve waterfowl. This meant they needed to be good swimmers. 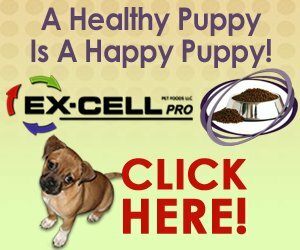 This highly intelligent, high-energy dog breed needs plenty of exercise to stay engaged, happy, and healthy. Going swimming or running can be a great way for them to get enough exercise while also spending time with their favorite human. If you know you want to be able to swim with your dog, these dog breeds are a good place to start your research. Once you find the right puppy for you, make sure you have everything you need for going swimming with your dog safely before jumping in.